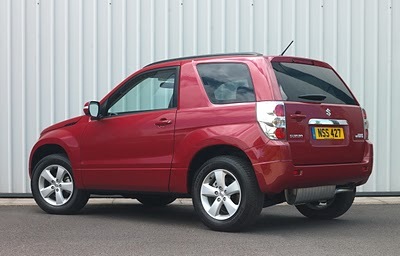 Suzuki Grand Vitara has been around for many years with the same shape. So Suzuki decided to update it, and as the first step they removed the door mounted spare wheel. They consider this as styling upgrade! In place of the spare wheel is a tyre repair sealant and inflationary device. While the car’s 4×4 drivetrain remains unchanged, its 1.9 DDiS engine has been revised to meet Euro 5 regulations which has resulted in fewer emissions than before at 179g/km (down from 185g/km). It also does 41.5mpg. Other engines in the range include the 1.6 and 2.4-litre petrol engines available for three door models and 2.4 petrol for the five door.